Greg Stewart scored twice as Dundee moved above opponents Ross County in the race for a top-six place with a 5-2 victory in the Ladbrokes Premiership at Dens Park. 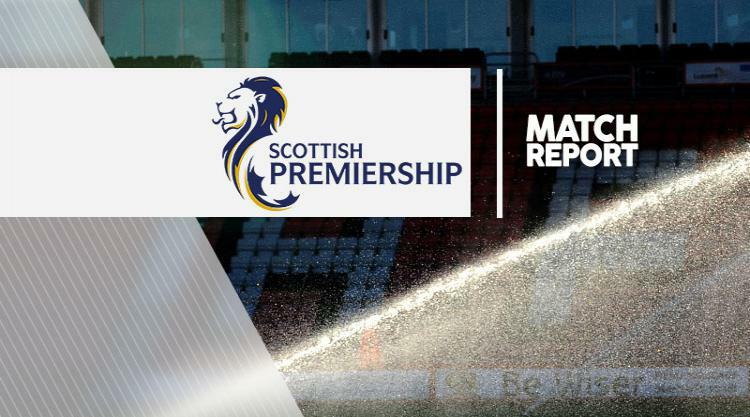 Paul Hartley's side won a seven-goal feast to leapfrog Scottish League Cup winners County into sixth place in the table on goal difference, and their successful afternoon was built on a whirlwind start. Goals early on from Stewart and Kane Hemmings put Dundee in command before Andrew Davies pulled one back for Jim McIntyre's men. Rory Loy restored the home team's two-goal advantage but Alex Schalk struck for the visitors after 45 minutes to keep the contest close. Dundee sealed the points through substitute Craig Wighton's 86th-minute effort and Stewart's fine individual strike right at the end. The home side were without the suspended Scott Bain and Gary Harkins but still created the first opening early on. Cammy Kerr's cross picked out Rory Loy inside the box, and his shot on the turn was saved by visiting goalkeeper Gary Woods. At the the other end, County threatened to take the lead as Schalk's left-footed shot brought out a diving save from home shot-stopper David Mitchell, who was deputising for Bain. The hosts went ahead after seven minutes. Stewart ran on to Julen Etxabeguren's pass before side-stepping Paul Quinn, and from the edge of the penalty area he fired a low left-footed shot into the corner of the net. Hemmings made it 2-0 just two minutes later. Kevin Holt's cross into the middle was inch-perfect and Hemmings was on hand to finish sweetly past Woods. But County hit back in simple fashion with a 15th-minute goal. Martin Woods' corner was met by skipper Davies who rose unchallenged to plant a header beyond Mitchell. A minute later, the visitors ought to have equalised. Michael Gardyne surged down the left and his cross was perfect for the unmarked Woods, but he somehow shot high over the bar from just six yards with the goal gaping. Dundee made them pay for that miss as they went 3-1 ahead after 38 minutes. Loy ran across Hemming's shot and headed it into the net, with Woods having moved in the other direction. County, though, rallied just before the break and Schalk turned neatly inside both Thomas Konrad and Kerr before hitting a shot over Mitchell, despite the goalkeeper's best efforts to keep it out. County went in search of an equaliser after the break. After 51 minutes, Liam Boyce combined with Schalk to set up Gardyne whose left-footed shot went over the bar from eight yards. There were fewer chances in the second half although Hemmings did have the opportunity to seal things after 74 minutes, only for his downward header from Stewart's free-kick to go inches wide of the far post. But substitute Wighton killed the contest with a close-range finish four minutes from time, before Stewart displayed his magic with a skilful winner in injury-time which gave Woods no chance.